During the Holy Month of Ramadan, the rumour appeared again, with claims of an announcement of the change of allegiance to come at Eid al-Fitr. But it didn’t. Eid al-Adha brought a different, albeit indirect message, hidden within a video product focused on al-Shabaab’s attack on the Burundian camp in Leego: quotations from Usama Bin Laden, but also from Ayman al-Zawahiri, the current leader of al-Qa’ida. Al-Shabaab was never going to answer the rumours directly, but this concluded the discussion. Except that it didn’t conclude the discussion. 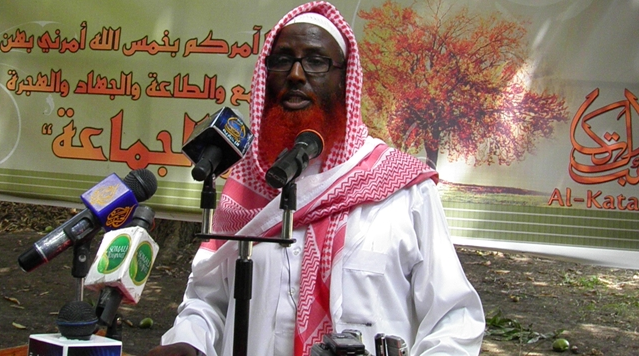 Abdul Qadir Mumin, a relatively well known al-Shabaab religious ideologue, declared his allegiance via an audio message on Thursday evening along with 20 of his followers, somewhere in Puntland. Foreign fighters can mean both non-Somalis but also Somali Diaspora. Which does he mean? ‘A group of foreigners declared in the mosque a few weeks ago, two Arabs and three Kenyans. In a village somewhere between Barawe and Jamame, where they have no internet, no television or radio. They didn’t know what was happening and they were arrested by the Amniyat. So this isn’t a one off. There are elements within al-Shabaab, not just one isolated group, but groups of foreigners, Somali Diaspora and ‘real’ Somalis, swearing allegiance to Da’esh. The response from al-Shabaab depends on how strong the individual group is. For now, at least. But al-Shabaab isn’t just about communications. It is also about deeds. In 2013, when Godane purged al-Shabaab of those who opposed his ideology of the Global Jihad and his alliance with al-Qa’ida, there were no Tweets or statements. Al-Shabaab’s actions spoke for themselves, and there is no reason to doubt that al-Shabaab won’t adopt a similar course in the coming months against its errant, vacillating members.